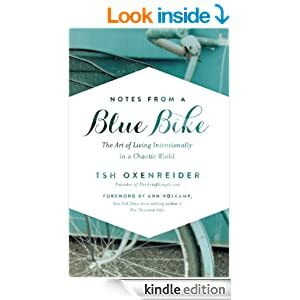 Tsh Oxenreider’s new book, Notes From a Blue Bike takes on a journey to a simpler life that we can enjoy living. I believe Tsh’s idea when she started writing this book was to show how to be intentional about living, I felt however that this was more of a biography of her personal journey to relearning how to live in the United States after being in Turkey for an odd number of years. If you plan on reading this book as a “how-to” manual for simpler living, I am not sure this is the book for you. However, It was a refreshing read for me personally. It was down to earth real but still keeping positive about life in general. If you enjoy reading journals about day to day women with ambition and a way of the desired life, then I think you will enjoy this book. I also think that Tsh put a lot of her diet struggles within this book so you can kind of see a cultural difference and trying to live with that while maintaining a simple lifestyle. I felt that in the end Tsh ended up putting aside a lot of what she first started out trying to accomplish (living simply and intentionally) . The life in which they now live doesn’t fee; like she accomplished in what she herself teaches. I am not sorry I read the book and will probably read again because I did find some inspiration and encouragement. 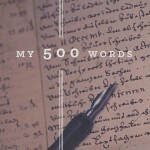 The style of writing I do enjoy. I found that I felt like I was sharing a cup of tea with a friend but that doesn’t necessarily mean I want to follow in her footsteps.